PRINCE2 2009. Risk part 4. The term risk management refers to the systematic application of procedures to the tasks of identifying and assessing risks, and then planning and implementing risk responses. This provides a disciplined environment for proactive decision making. This includes risks being considered that could affect the achievement of the project’s objectives, and then described to ensure that there is a common understanding of these risks. This includes ensuring that each risk can be ranked in terms of estimated likelihood, impact and immediacy, and understanding the overall level of risk associated with the project. This includes identifying appropriate responses to risks, assigning risk owners, and then executing, monitoring and controlling these responses. 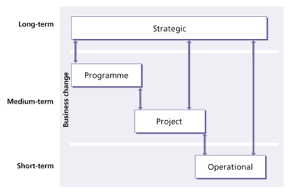 Risk management applies from the strategic, operational, programme and project perspectives. The approach to the management of risk can be common across all of these perspectives but risk management procedures should be tailored to suit each one. 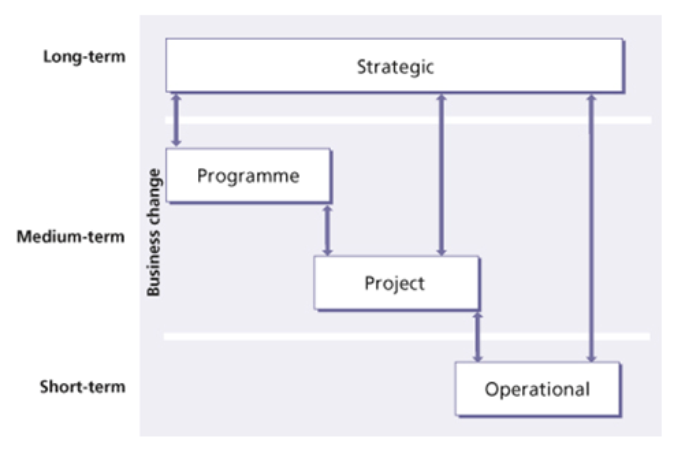 See the diagram for organizational perspectives.